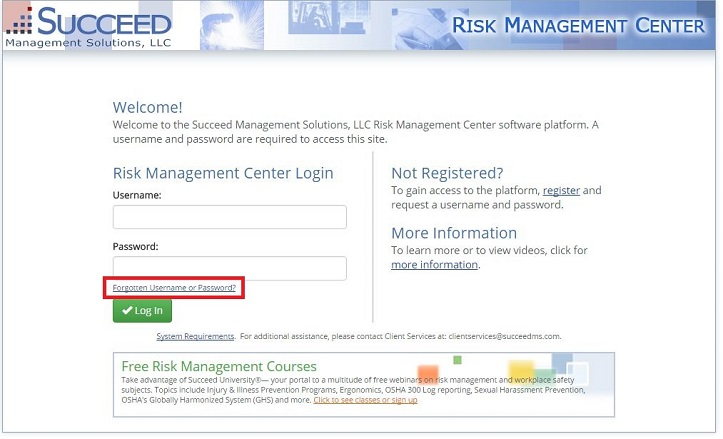 In the event that you have forgotten your password or your username, simply navigate to www.lossfreerx.com, and select the "Forgotten Username or Password?" link, and fill out the form that appears. You will receive an email that will walk you through the rest of the process of resetting your password or discovering your username.